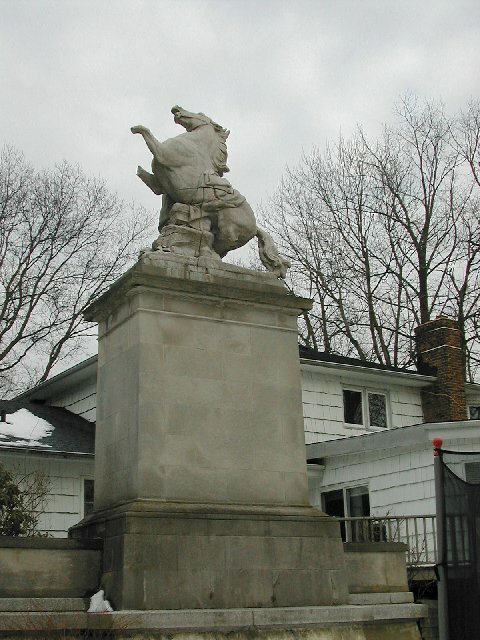 Most Roslyn residents know that one of the Horses of Marly statues is in the entrance circle to Roslyn High School where it has stood for at least 50 years. 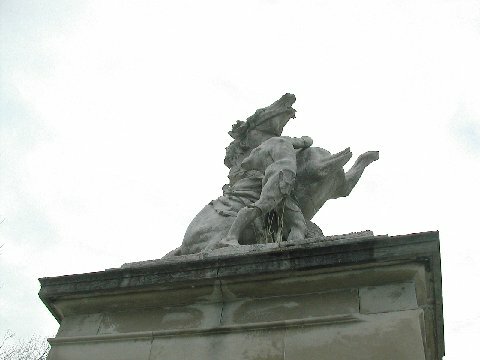 But how many know that the other horse still stands in the exact same position it has been in since 1900-1910 when it was first positioned at the west end of the Mackay formal gardens? The gardens themselves have been gone since about 1950 and the community of Country Estates has been built over the old estate. 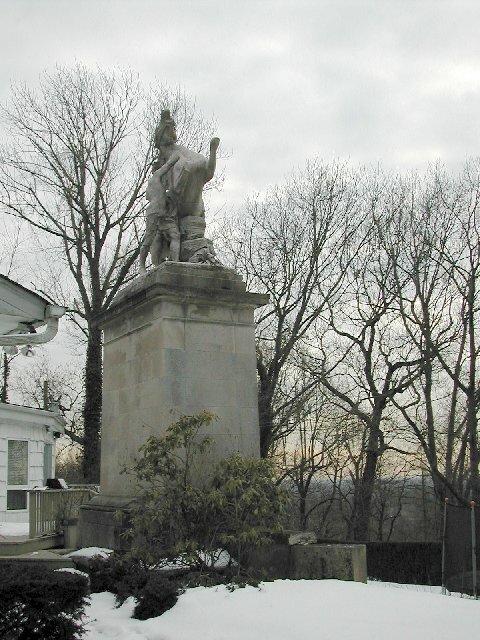 If you are interested in knowing where this statue stands today, look at the map at the end of the Introduction to the 1992 Edition of Roslyn-Then and Now by Roy Moger (both statues are called, "Horse Tamers" on this map). Unfortunately, time (about 100 years) and weather have damaged this historic statue too. Thanks again go to Ted Biedrzycki for taking these photos for us in February 2005.